Last Chance to Submit Narnia Trivia Questions! Time is running out to submit trivia questions for the special “Stump a NarniaWebber” episode of Talking Beasts: The Narnia Podcast. We think this is going to be a lot of fun and we hope you will all participate! Questions must be in by this Friday, February 15, 11:59pm EST. Selected questions will be posed to Rilian, Glumpuddle, and Dot in a competition to see which podcaster has the most Narnia knowledge! The video will be posted on March 17. Anything Narnia-related is fair game. Books, movies, behind-the-scenes facts, filmmakers, actors, C.S. Lewis’ life, etc. The Lion, the Witch and the Wardrobe is an allegory for the story of Christ. There is symbolism throughout the story. Explain the symbolism of Father Christmas’s gifts in relation to the Bible. Allegory and symbolism aren’t the same thing. Allegory is fixed and objective, symbolism is neither. Since LWW isn’t an allegory (a common misconception) such a question would be subjective and not really suitable for a trivia show. Unless they’re looking for essay questions . Meh, I’m really not a fan of interpretations of LWW that interpret every plot point and detail as symbolizing something else. C. S. Lewis wasn’t just trying to convey a message. He was writing stories that would stand on their own as entertainment in their own right. If you, yourself, have a theory as to what the Christmas gifts represent, I’d be happy to hear it out of course. I don’t deny that Narnia has allegorical elements. Saying that the whole thing is an allegory just rubs me the wrong way. I think Narnia should be principally enjoyed as a story before one can hope to divine much meaning from it. That being said, I have extensive and (I think) well-founded explanations for most of the books’ symbolism (though not for every plot point of course). The Sword: The sword of the Spirit, the Word of God. The Shield: The Shield of Faith. I think ‘marketing’ Narnia as a Christian allegory alienates a lot of potential readers. The parallels are there obviously, but I don’t think Lewis sat down and thought "Huh I wonder what would be the best way to represent such and such?" Likewise, if I tried to convince someone to read the Journey to the West, I wouldn’t be like "Oh its this allegory to enlightenment!" I’d say something more like "So there’s this monkey named Sun Waking whose basically straight out of anime right? Well one day he busts into the court of the Jade Emperor and…"
Also it personally makes me sad when I see Narnia tucked into the "Religious" sections of bookstores while things like LOTR or Game of Thrones have entire shelves dedicated to them. But really, we should still consider what Lewis was basically trying to say with these stories, not just tell people that they’re fun to read and leave it at that. An entire dimension of Narnia gets ignored if we do that. I agree that if you want to get the most out of Narnia you have to think deeper than the stories’ surface (a friend of mine once told me he disliked Narnia because it was too juvenile, however I think he kind of missed some of the BIG points). Although I don’t believe writers when they say "Oh my characters just speak to me, the story writes itself, etc," something about Narnia truly makes me think he discovered a lot of world as he wrote. Interesting responses. I had read that it’s allegory, so sorry for getting that wrong. Fair enough that it’s too much interpretation for a trivia question. I was just curious to see if the Narniawebbers could briefly list a few examples of symbolism. Cleander, that’s what I was going for with the gifts. The first time I saw the movie it’s exactly what I thought of. I remember that in a college course on C. S. Lewis I took many years ago that the professor said that we shouldn’t be reading the Narnia stories as allegories. There were references to the Bible and other works of literature, but they are only references. Aslan is the supposition of what Christ would be like in Narnia, but that was all the further it went. I think I would always agree with that view since the stories are separate creations of literature and stand on their own. They are different from Pilgrim’s Progress, which was intended as an allegory. I think it is an advantage for today’s readers way since they will more likely be attracted to the Narnia books as adventure stories and not be immediately be forced into looking for symbols and other subjective meanings. The references are of lesser importance than the stories themselves. In the Magician’s Nephew – when Jadis is in London and is scorned by the crowd of ordinary people at the lamppost – what 3 places of Charn does she throw at them, while threatening Earth with subjugation? Spelling counts. Hint: the 2nd place begins with S and 3rd place begins with B. In the Last Battle how many go into Narnia to assist the King at that time for one last stand? 1.Nikabrik said in Prince Caspian that Jadis stamped out the beavers.Is it true?Because the beavers were with the Pevensies when they were crowned. 2.Prince Caspian said that Susan’s horn should only be used at the greatest need. But Father Christmas had told Susan that whenever she blow it, help will come.So what was the actual setting and function of the magical horn? 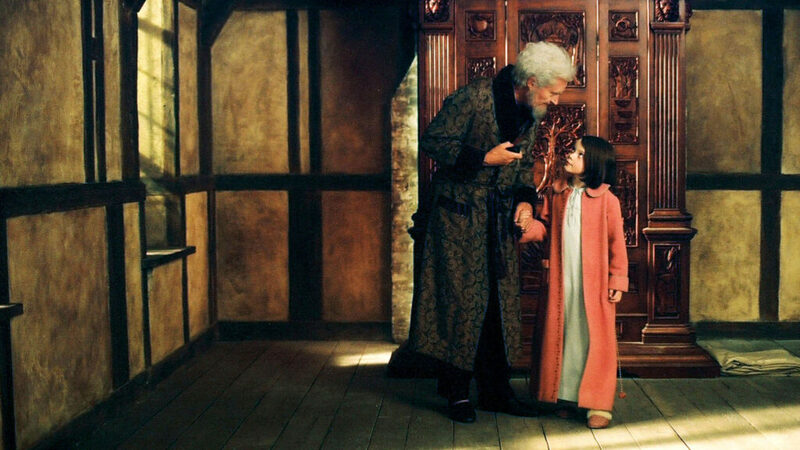 4.How many worlds did Digory and Polly visit in The Magician’s Nephew? 7.What universities did the four Pevensie’s actors attend? 8.Race and ancestry about Edmund’s actor Skandar Keynes. The first three of those are more like plot holes or speculative questions that trivia questions so I doubt they’ll be on the episode. (Actually, they might not include any of your questions because you’re posting them in the comments instead of sending them to narniaweb.com/stump.) So you won’t be disappointed, I’ll try to answer. 1. It’s possible that Mr. and Mrs. Beaver were the last of their species and never had any offspring. It’s also possible Nikabrik was wrong about the White Witch stamping out beavers. After all, it had been a long time and there are such things as historical misconceptions. Well I can’t help it. I can’t go to that website(narniaweb.com/stump).I never bothered about buying a VPN so I’m stuck here. And about Susan’s punishment: coming to think of it, I actually forgot. But I do remember seeing sth about this in one of Lewis’s biographies like 《Narnians》(or was it his autobiography?) At any rate this is as far as I can get. Mostly agree with Col Klink, however I am bored so I’ll give some answers. 1. We never hear of any beavers existing after LWW, so I assume "stamped out" is true in the sense that the Beavers were the last Talking beavers and too old to reproduce. I’d also say that the fact in LB it’s a water rat (is that what Brit’s call muskrats?) not a beaver on the logs is telling. 2. Going off of the above speculation that Susan’s horn is supposed to represent prayer, I’d say they could have received far more help from it. Like in real life, I’ve observed people who pray more often tend to reap more as well.